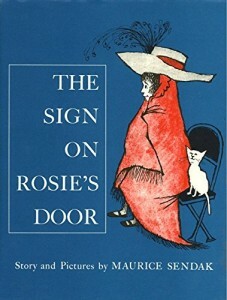 Pure delight is the best description for this classic, and not-well-known children’s book by beloved writer and illustrator, Maurice Sendak. As with his other children’s books, the absolute naturalness of childhood is captured in a few words, while the illustrations help you imagine the rest. This children’s book is set in the city–it could be any city, but it sure feels like my old New York City, in a time in the past — it could be any time, but it feels like my childhood, with several children who are all friends–and feel like they are my old friends. The children’s book looks and feels like a beloved old sweater that you just want to put around you on cold winter days. This is a great children’s book for a grandma or grandpa to read with their young grandchild. It’s certainly only aimed at the under-7 range, as it’s quite simple. It’s perfect for either a read-aloud, or for independent reading. It is very short, and very delightful. I’m so happy to have found it.